Spring tine reel efficiently removes thatch with a softer touch for light combing or wehere sprinkler heads or other objects may be a concern. The 20" adjustable depth reel combs out excess thatch, removes moss and breaks up aeration plugs. 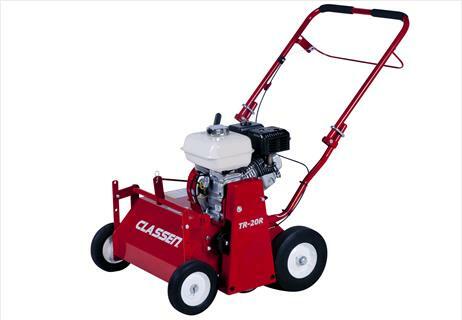 * Please call us for any questions on our thatcher classen wire spring tine rentals in Portland OR, Gresham OR, Milwaukee OR, and surrounding metro area.